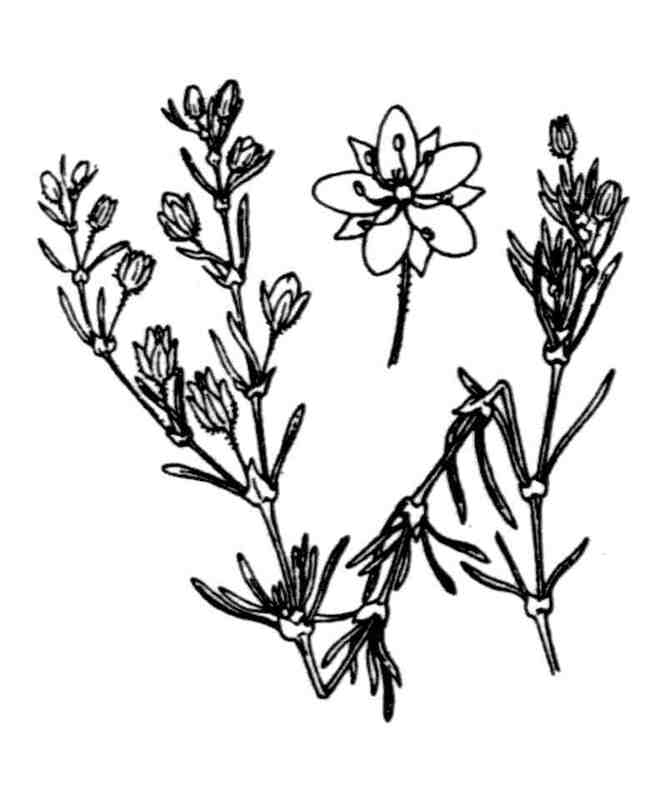 LATIN: Spergula rubra (L.) D.Dietr. Écologie : Lieux sablonneux et siliceux [calcifuge], dans toute la France et en Corse. 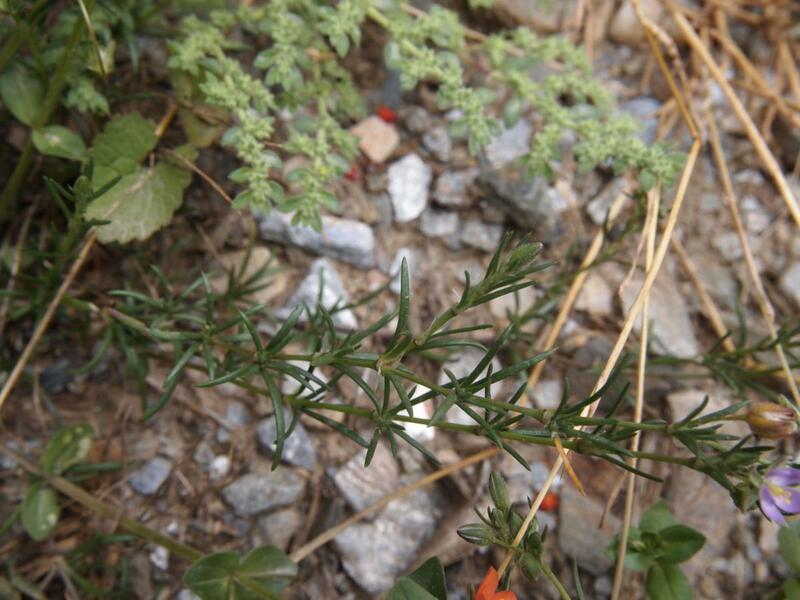 Slender, much-branched, diffuse annual or biennial with many procumbent, hairy stems 5-15 cm long, growing from a thick rootstock. 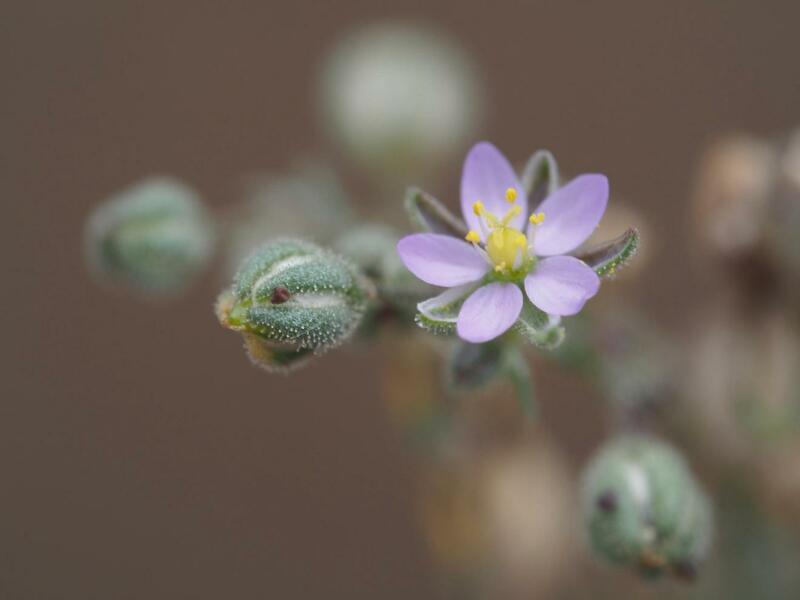 Ecology UK: It is a common calcifuge plant in bare sandy places throughout the British Isles. 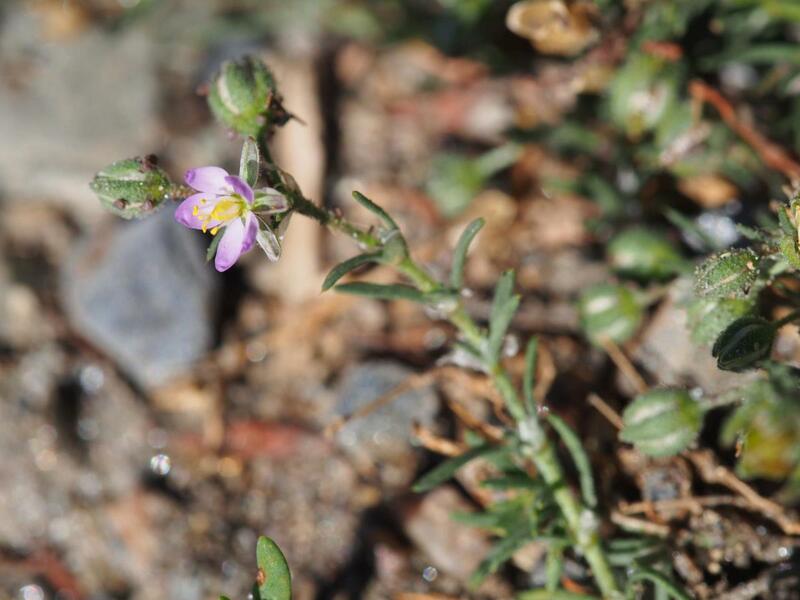 Flowers: 3-5 mm diam., numerous, always in dichotomous cymes, ail bracteate; sepals shorter than pedicels and the capsule; petals pink, equalling sepals. 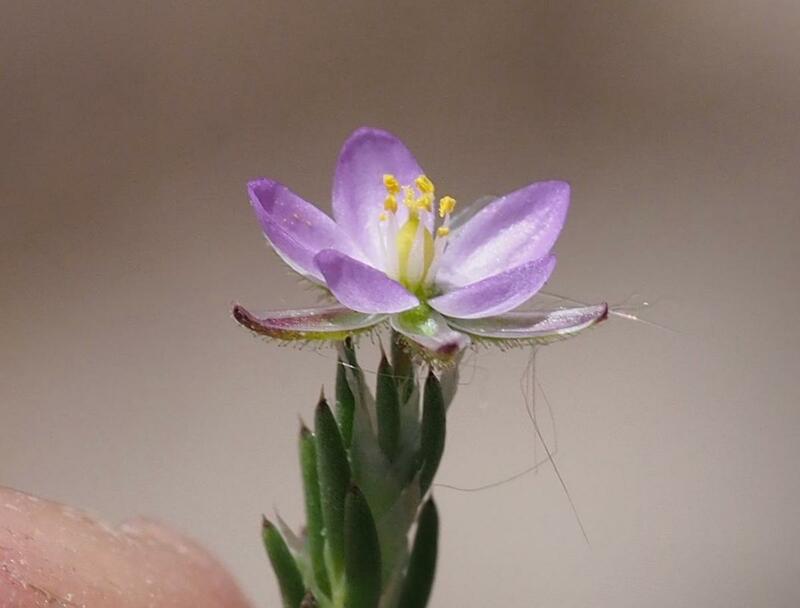 Flowering UK: Mid May--early Oct.
Leaves: 7-8 mm long, hairy, awned; stipules lanceolate, acuminate. Fruit : capsule égalant le calice ; graines non ailées. 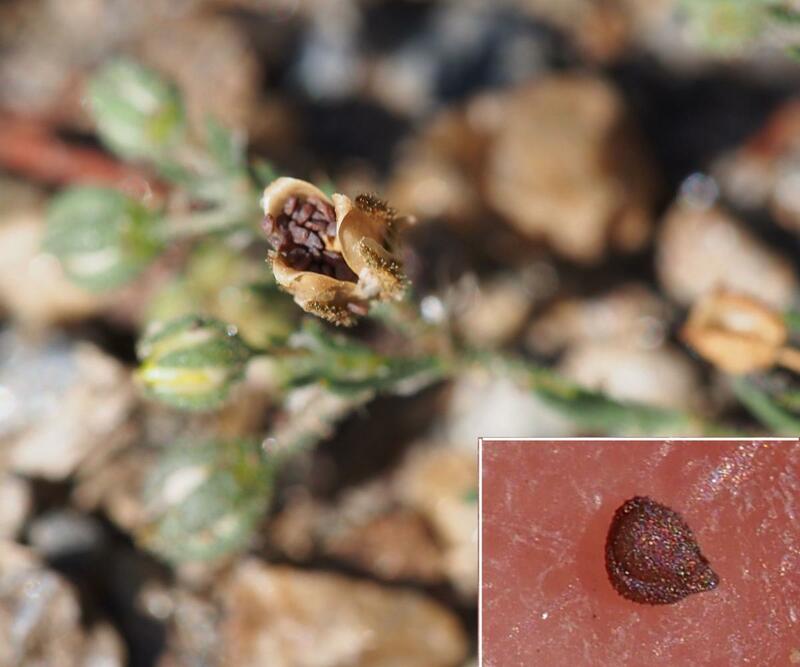 Fruit: Capsule 4 mm long; seed 0.5 mm, half ovoid, with few tubercles, wingless, brownish.